Nathalie and Christophe have an infectious cheerfullness. 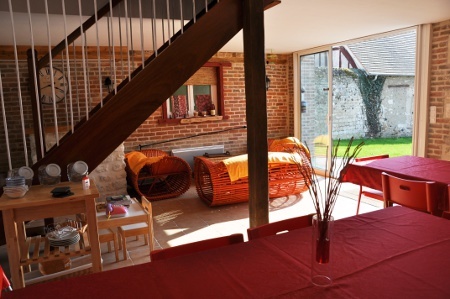 The young couple felt a "touch of madness" (in French: un grain de folie) when they opened three guest rooms in the quaint village of Pressagny-l'Orgueilleux in 2011. 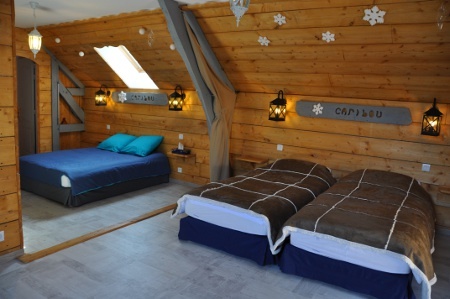 Located in a former barn separate from the owners' house, these large comfy bedrooms are decorated in a style full of good mood that calls children dreams to mind: dreams of travels to Africa or Lapland, dream of a sweet world in candy colors. 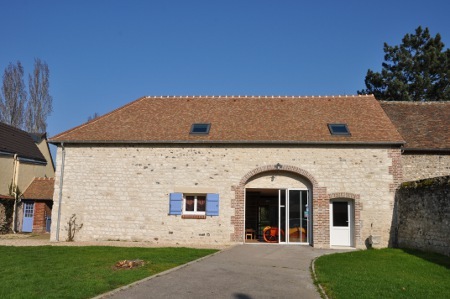 If you are travelling with children, they will have a great time at Grain de folie. 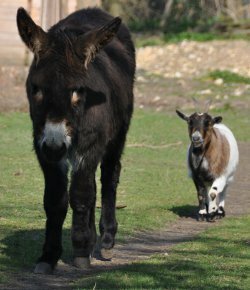 They will visit the donkey and the goat and play in the garden. Yourself may be tempted by a relaxing massage in the massage parlour, Alexane, your hosts' daughter, being a beautician. 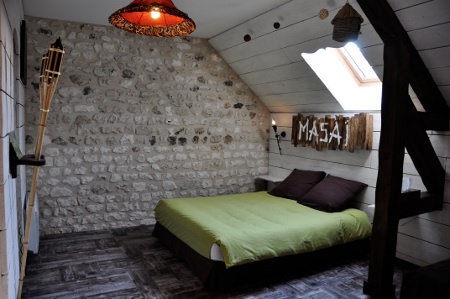 Or you may have a walk on the banks of the river Seine nearby. The breakfast prepared by Nathalie emphasizes her home made products like yoghurts, jams... It is served in the barn's dining-room, a tribute to the Basque Country where Christophe was born. 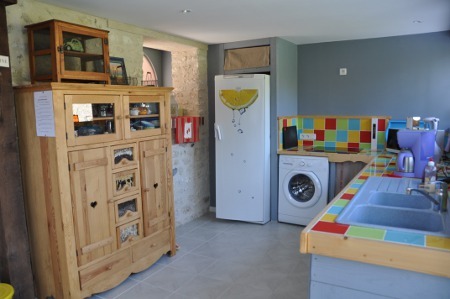 For a large party, the whole house can also be rented as a self catering cottage, including kitchen and laundry facilities.